Children | Home Wise! Family Smart! You can’t protect your child from feeling stressed out, angry or sad. What you can do is teach him ways of managing his stress. Learn more from The Learning Child blog …. The parts of our brain that are involved in reacting to emotions can quickly hijack our ability to reason and control our intentional spotlight. Think of all the times you regret saying something because you were wound-up or overly emotional. If only you’d pressed pause to think about your reactions before blurting out your feelings. Kids need this pause space too, although it is difficult for them to recognize when they need it. Often, when our child is upset or emotional, we feel the immediate need to do something about it – to argue back, to cuddle her, to yell, or to put our face right up close to hers so that she will concentrate on what we have to say. Our experiences in natural environments can have immediate and long-lasting benefits for both children and adults. We know outdoor spaces allow children to run, climb, move through space, and “let off steam.” We also know such increased physical activity is associated with decreases in depression and anxiety, and increases in levels of concentration. Outdoor experiences and play are key strategies to address rising childhood obesity rates and ADHD/ADD symptoms. Nature provides endless opportunities for awe, wonder, exploration, and movement — all essential elements to promoting the healthy well-being of young children. The Importance of Outdoor Experiences in the Primary Years, shares the research on the benefits of being outdoors! 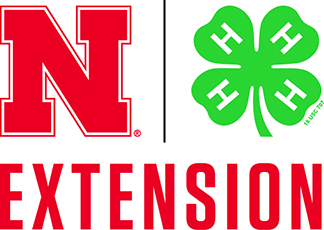 This is a free publication from Nebraska Extension. Have you been outside yet today? Better yet — enjoy taking a child outdoors and let them experience the wonders of our natural world. It’s time for me to head outside!